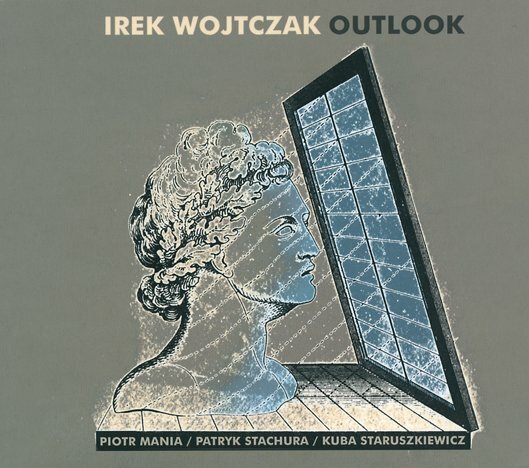 This is an excellent album by Polish Jazz saxophonist / flautist / composer Irek Wojtczak and his quartet Outlook, which also includes pianist Piotr Mania, bassist Patryk Starucha and drummer Kuba Staruszkiewicz. The album comprises of six original compositions, three of which are by Wojtczak and the other three are co-credited to all the quartet members. Wojtczak is one of the busiest players on the local scene and is featured on quite a few recordings made in the last decade, both as a leader and a sideman, which span very versatile musical settings, proving that he feels comfortable in any situation. His technical proficiency and musical maturity are truly admirable, as are his compositional skills. This particular recording is kept in a “retro” Jazz-Rock Fusion atmosphere, emphasized by the excellent utilization of the electric piano, re-creating the ambience of early days of the genre à la Herbie Hancock. But the music is completely original and up to date, with brilliant melody lines, which serve as a vehicle for expanded improvisations by the leader and the pianist. The rhythm section is also first class, providing just the right amount of support for the soloist during their solos and keeping the entire show appropriately slick and funky. Overall this album is a most pleasant listening experience, with intelligent and aesthetically satisfying music and first rate playing. Both mainstream and Jazz-Rock listeners should find listening to this album a valuable experience. Wholeheartedly recommended! Irek Wojtczak is still young but his career is very interesting example of how young generation avoid being classified in one genre only. He is doing equally fine in experimental “Freeyo” (2009) or “Jebał Was pies” (2010), free jazz “Trio+2″ (2011), avantgarde “A-Kineton” (2012) and mainstream releases like this one titled “Outlook”. This is just a sample of many more recordings he did during his career but nonetheless proving not only his immense versatility but also that his skills are highly valued by other artists. It is important to note that in all these projects there were involved best musicians and that they may be counted as most important in jazz music in Poland in recent years. 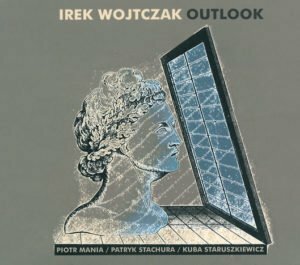 What distinguish “Outlook” from all previously mentioned discs is that it is Wojtczak’s own album, second (as far as I gathered), after “Look to the Sky” (2004) while in 2011 he issued his last disc “Direct Memory Access”. This last album was disappointment to me, it was too eclectic, lacked internal coherency. On the other hand when I had the opportunity to listen to material from this record played live during recent JazzArt Festival in Katowice it made very good impression on me! It was very interesting and creative mixture of modern jazz and Polish folk music, so well moulded as nobody else did since such great recordings of the past as Namysłowski’s “Kuyaviak Goes Funky”. “Outlook” is less looking for something new but rather exploring mainstream jazz field but it does so with an astonishiong skill indeed. Everything here is on very high level: great, though young, musicians (pianist Piotr Mania deserves exceptional praise), deep interplay between them, inspiring tunes all composed by the leader. If Wojtczak one day unites in certain future project of his this incredible technical proficieny of “Outlook” and creativity of “Direct Memory Access” or some of his free jazz projects, Polish jazz will obviously gain an artist of the greatest calibre. That is at least what I would like for him to happen!